Some call it craft. We call it art. 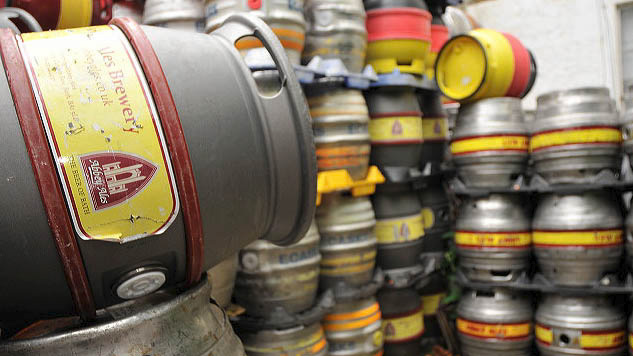 Situated within the World Heritage City of Bath, the Abbey Brewery was founded in 1997 and has been producing its award winning traditional English ales ever since. 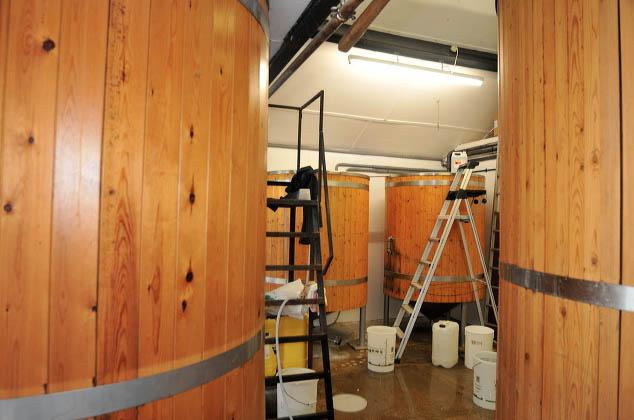 The brewery was the initiative of experienced brewery sales and marketing manager Alan Morgan who is now ably backed up by his son Simon Morgan and head brewer Martin Langham. Quality ingredients are the key to any successful product and we are fortunate that, just a short drive away, these are available to us from Warminster Maltings. 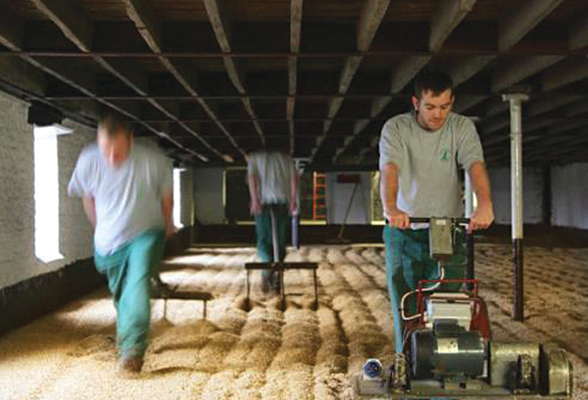 Here they specialise in producing high quality barley malts in the traditional way, where, after forty hours of steeping, the grains are spread across vast open floors and left to germinate over four to six days. During germination the carbohydrates within the the barley undergo a modification which makes it suitable for brewing. This process is completed by kilning with hot air to reduce moisture content and impart the typical malt colour and flavour. Bellringer is brewed from a blend of different malts but the main constituent is a lightly kilned Maris Otter Malt - the secret to Bellringer's bright golden colour. The other essential raw ingredient is of course hops. Ours come from Worcester, one of the main English hop growing areas, the other being Kent. 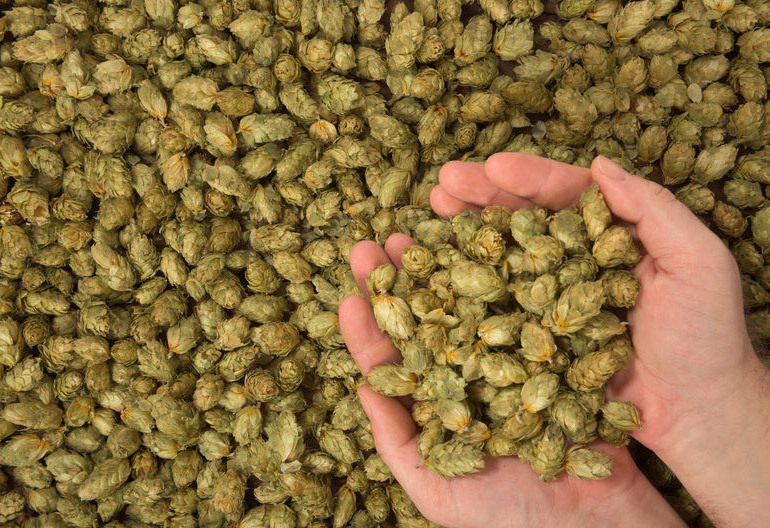 Hops give beer its characteristic bitterness, flavour and aroma. ​To begin the brewing process we must first preheat our local water overnight and add mineral salts to achieve the right balance for bitter brewing - the process known as burtonising. The resultant liquid is known as the brewing liquor. All the ingredients of beer have a substantial effect on the flavour of the finished product and as water makes ups 99.9% of what is poured into your glass this is not the least among them. Once this conversion is complete, we must then extract the malt sugars from our porridge through a process known as sparging. So far we have only used a small amount of hot liquor. The rest is now delivered to the top of the mash through a rotating sprinkler - the sparge arm. Simultaneously, a hot sticky brown liquid (technical term - wort) is strained from the bottom of the mash tun, slowly at first and speeding up as the viscosity decreases. The next stage, and first real job of the brewers day, is the mash. The hot brewing liquor is piped into the mash tun, where it is mixed with the grist (a technical term for the malted grains which have been weighed, mixed and crushed). We stir in the mash by hand, aiming to achieve a thick porridge like consistency and a temperature range of between 65 and 67 degrees centigrade. This takes around twenty-five minutes and we leave the mash to stand for one and a quarter hours. Many complex reactions occur during the mashing stage but the most important of these is the work done by natural enzymes in converting starch to fermentable sugars, a process which works to the best advantage at this high temperature.This is collected in an underback and then pumped from here into a giant kettle, traditionally known as a copper. Sparging and collection generally takes around two and a half hours by which time most of the sugar has been washed out. Challenger hops are pitched in first, for bitterness. Seventy-five minutes later, prior to completion of the boil we will add, along with copper finings to facilitate protein removal, a further batch of hops, this time the Goldings and Fuggles which give Bellringer its characteristic flavour and aroma. The hopped wort is now allowed to stand for half an hour while we prepare the fermenting vessel. The wort is then piped across to the F.V. passing midway through a paraflow heat exchanger. This brings the temperature of the wort down to 20 degrees centigrade, thereby allowing us to safely pitch the yeast straight away. One useful by-product from this stage is that the returning cooling water from the paraflow has now risen to near brewing temperature and can be collected in the hot liquor tank to be used for the next brew. The action of the yeast begins virtually straight away as it metabolises the malt sugars to produce alcohol and carbon dioxide as well as adding a range of subtle flavours to the resulting beer. Each brewery strain will impart its own distinct characteristics. Yeast cells will divide many times during fermentation and the whole process will gather momentum during the first 24 to 48 hours until tailing off as the resultant alcohol begins to inhibit yeast activity and the sugars depleted. Bellringer at 4.2% ABV generally takes three to four days to ferment, stronger beers may take longer. The process of fermentation is monitored regularly by testing with saccharometers and heat generated in the F.V. is held in check by an external cooling jacket. Towards the end of fermentation yeast will gather into a thick creamy head at the top of the brew, some of which we can skim off to use in subsequent brews. Finally before all the sugar is fermented right out, the activity of the yeast is cut short by chilling. The temperature is lowered to around 8 degrees centigrade in a matter of hours but the beer remains in the fermenter for a further two days to allow yeast cells and trub to settle out. We can then transfer the beer into racking tanks where it is stored until needed.